GWPF Science Editor Dr David Whitehouse takes a close look at some recent developments in the long-running global temperature ‘pause’ controversy. One could be a little sarcastic in saying why would Nature devote seven of its desirable pages to an event that some vehemently say never existed and maintain its existence has been disproved long ago. Now, however, as the El Nino spike of the past few years levels off, analysing the ‘pause’ seems to be coming back into fashion. The authors of this recent paper delicately tread a line between the two opposing camps saying, on the one hand, that both sides have a point and their particular methods of analysis are understandable. But on the other hand they make it clear that there is a real event that needs studying. As someone who has paid close attention to the ‘pause’ for almost a decade I am perhaps more attentive than most when it comes to a retelling of the history of the idea and the observations. The authors say the pause started with claims from outside the scientific community. Well, yes and no. It was tentatively suggested in 2006 and 2007 by climate sceptics many of whom were experienced scientists and quite capable of reading a graph and calculating statistics. A decade after it was raised, every time the ‘pause’ is debated it is a tribute to those who first noticed it and faced harsh criticism. It was the sceptics who noticed the ‘pause,’ and in doing so made a valuable contribution to science. For years it was only analysed and discussed on the blogosphere before journals took notice. What the authors miss, with their three definitions of the pause, is a simple fact we have often pointed out. 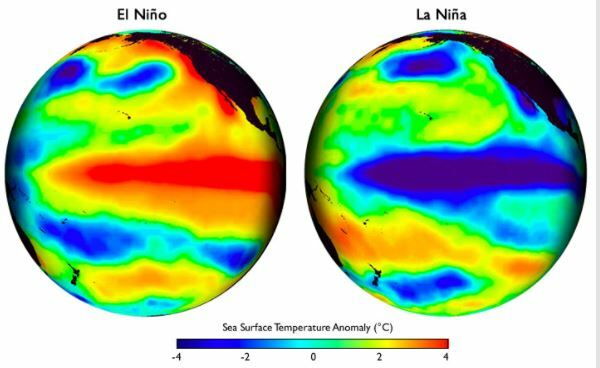 Look at HadCRUT4 from 2001 (after the 1999-2000 El Nino/La Nina event) until 2014 (before the start of the recent El Nino event) and you will see the temperature is flat. Apart from the recent El Nino there has been no global increase since 2001, even though there have been El Ninos and La Ninas in that period. Now that’s what I call a pause. We should give some credit to Kevin (it’s a travesty) Trenberth for at least acknowledging the then unexplained ‘lack of warming’ in his email of Oct 2009. July 2013 – Global mean surface temperatures rose rapidly from the 1970s, but have been relatively flat over the most recent 15 years to 2013. During the same period CO2 levels were rising to their highest in centuries or so we’re told. What happened to the claimed correlation with global surface temperatures? All over the US media today – discussion over whether Trump will pull the US out of the Paris agreement. We all know the Paris agreement will not alter world temperature*, slow storms or stop floods but is potentially a trap for domestic legal action, it hurts the poor via high electricity bills, and reduces living standards (for those outside the $1.5 Trillion Green Industrial Complex). The free citizens around the world may score a big win soon. We hope. *To put the impotence of Paris in perspective: if we use IPCC estimates, and all industrialized nations make a 100% reduction in CO2 emissions by 2100, we can only cool global temperatures by 0.35C — a third of one degree at most. That’s no oil, no gas, or coal, in a world powered by handmade nuclear reactors using mud bricks transported by horse and cart. 😉 And that assumes that the models are right despite them failing on regional, local, short term , polar, major feedbacks  , humidity, rainfall, drought and on clouds. Models also had no clue about the ‘pause’, being programmed to rely heavily on CO2 levels and ignore natural variability. A new study examining explanations for the 10- to 15-year “hiatus” in global warming has scientists “more confident than ever that human influence is dominant in long-term warming.” But climate skeptics are already firing back at the claims. What is now becoming glaringly obvious is that the IPCC has wildly overestimated its projected global warming for the future. In the warm phase, I noticed a reduction of range of temperature extremes in the data. I made what I took to calling “hair graphs” because they looked like a bad hair day … Just plot the monthly average temperature for each month at an average of stations covering an area over time. They started out fat and bushy, then narrowed in over time. I’d attributed that to station selection bias. Dropping stations or data with wide ranges. The recent cold turn shows up as unexpected cold spikes, more variability… maybe I need to see if that is reflected in new hair graphs….